Mezzanine and platform storage systems are an excellent choice when you need to increase storage capacity while maintaining available floor space. We work with several manufacturers of of these types of products, and we can design, layout, and install any of these systems to meet your requirements. Contact us today for a free quote. 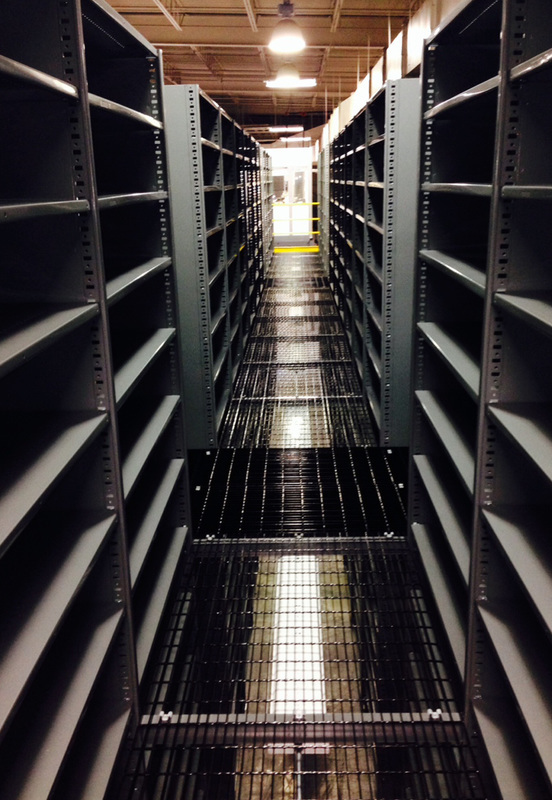 You can also visit our Mezzanine & Platform Storage Portfolio to see some of our completed projects. Setting up a platform specifically for storage purposes gives you a few options, especially since most designs are custom to your storage needs. Just need more space to store? Install a basic mezzanine platform with the room to stack boxes, install shelves, or rest large objects and still have room beneath the platform. Need to be more specific? Describe your idea and we find or create a custom mezzanine design for you. This might include a combination of industrial catwalks suspended between industrial rack shelving (as seen on left) to create tons of shelf storage options in a large space. The benefit of warehouse mezzanines? Organization, navigation, and flow. 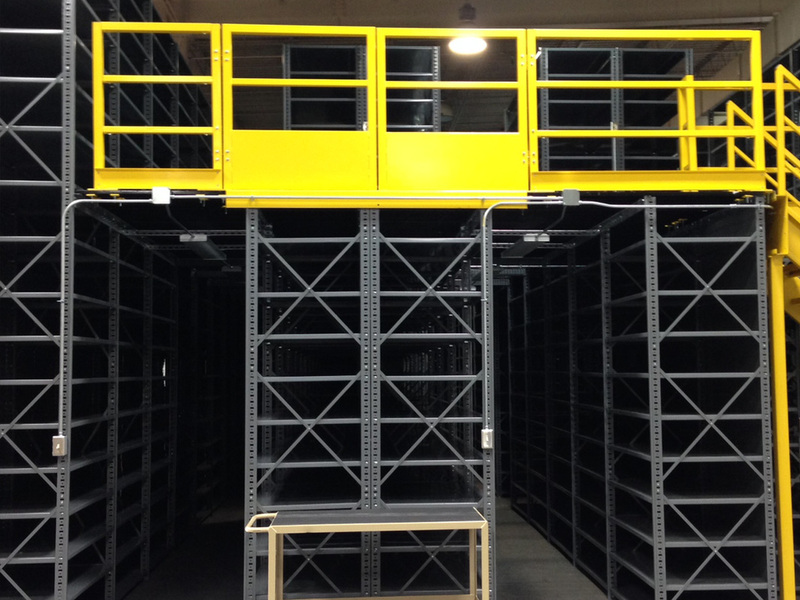 Adding a mezzanine platform offers under storage, systematic walkways, and on-platform storage. 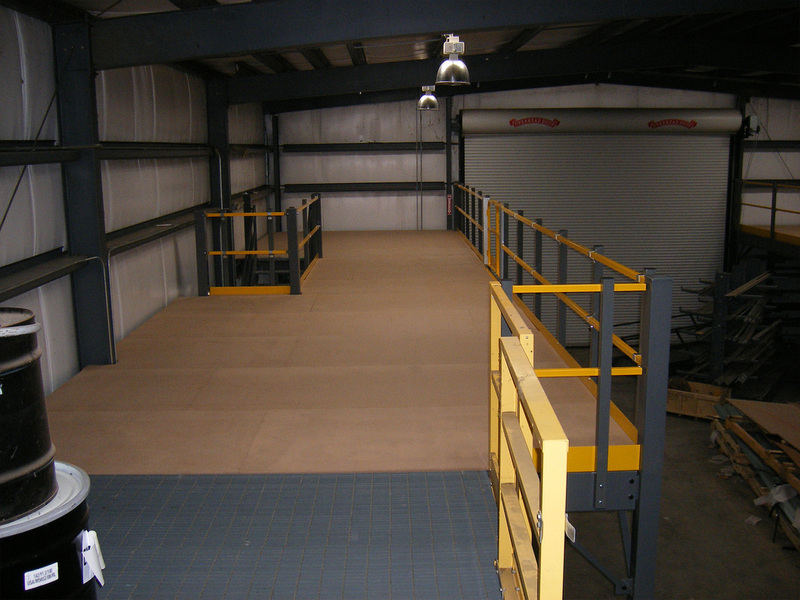 In addition, mezzanines can support modular offices and shipping areas which demand regular wear and tear use. 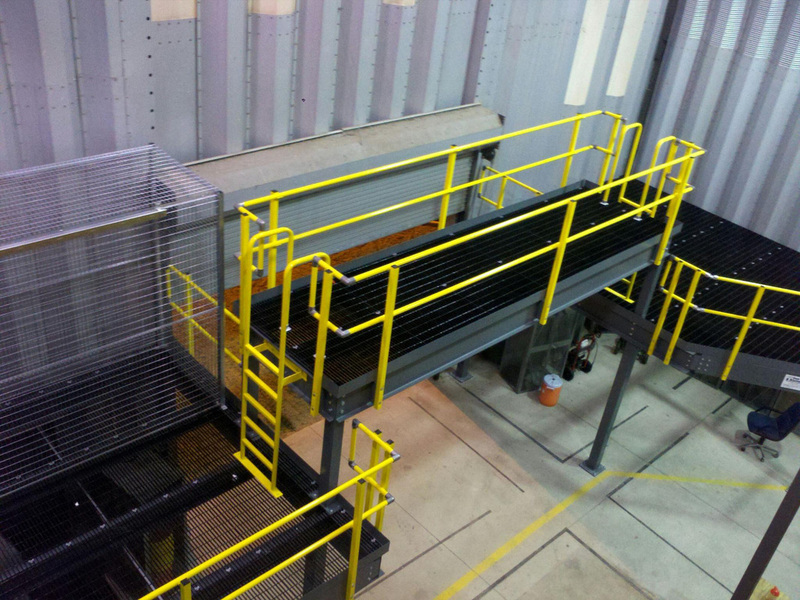 We offer dozens of options suited for any need, including pre-manufactured/pre-designed mezzanines, free standing platforms, custom sizes, standard or stainless steel materials, and designs that meet specifications and regulations. 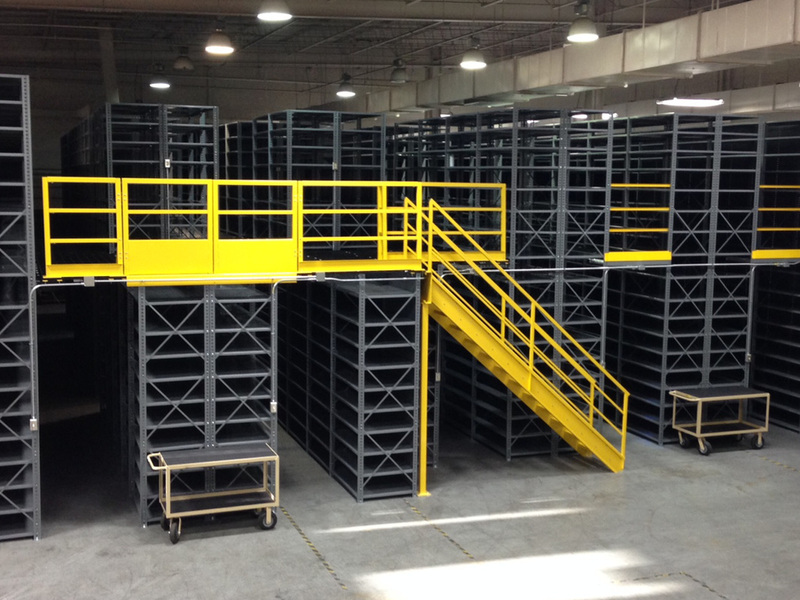 ​Maximize warehouse storage with custom mezzanine storage systems. Any length or any height, if the goal is to create an elevated walkway from one mezzanine to another, or just above the ground, then a catwalk might be a good idea. 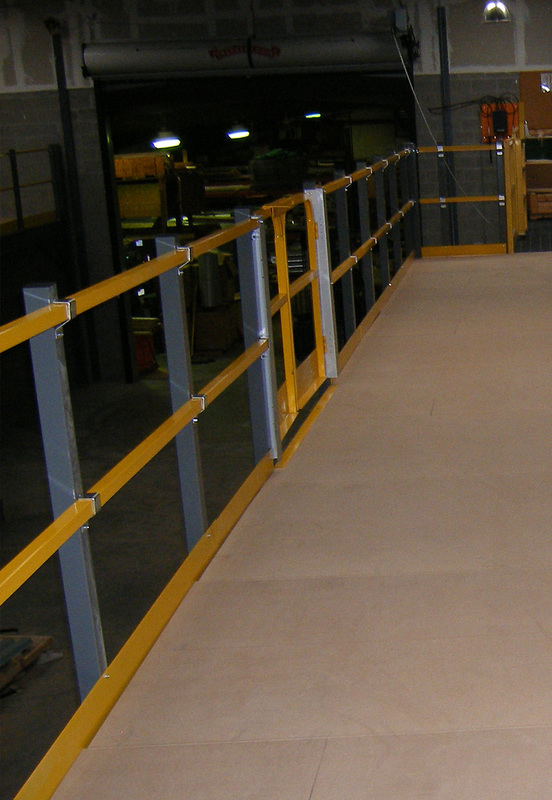 Industrial grade and sturdy, our catwalks can be used for easier foot traffic and navigation in warehouses, between platforms, or even custom purposes like training setups and connecting rack shelving units to make elevated walkways for unique storage solutions. Cogan Wire and Metal Products is a leading manufacturer of a wide of range of quality, cost-effective storage and guarding solutions. A Cogan mezzanine is the fastest and most economical way to increase manufacturing and storage capacity in your facility. All Cogan industrial mezzanines, cantilever racks, wire mesh partitions, tenant storage lockers and guardrail barriers are guaranteed for life. For over 30 years, FCP Structures have been providing customers with superior service, creative solutions and industry leading execution. Their mezzanines, mezzanine floors, metal buildings, industrial canopies, modular offices, and support platforms are designed and engineered to meet your specific workspace needs and load requirements. 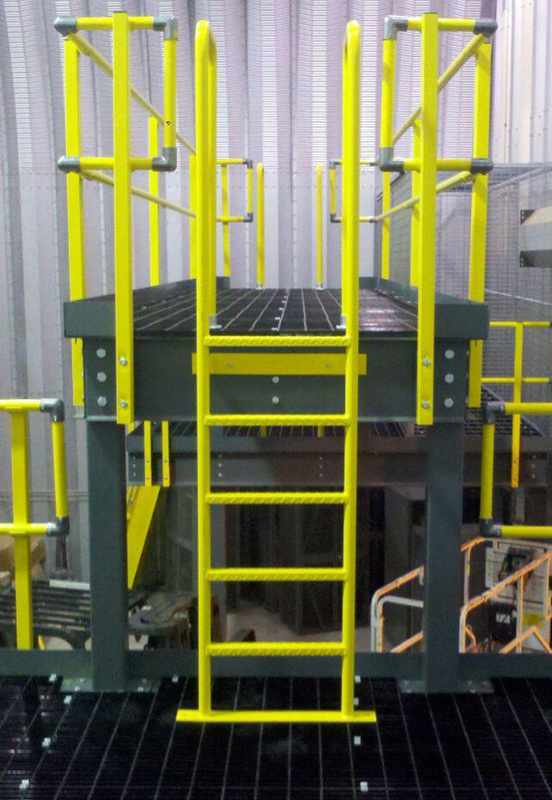 Cubic Designs is a specialized manufacturer for custom designed mezzanines and work platform systems. 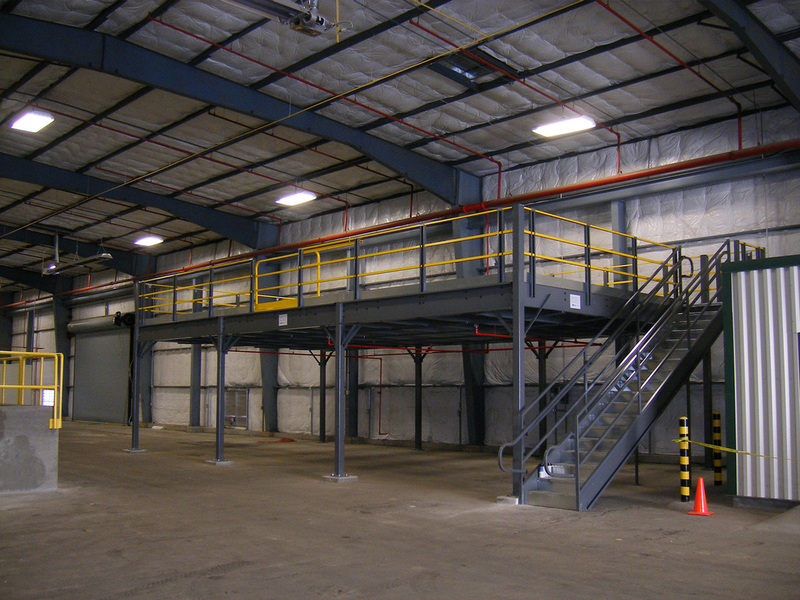 Adding a mezzanine or platform to your warehouse or manufacturing facility is an easy and cost effective way to increase your space without construction. 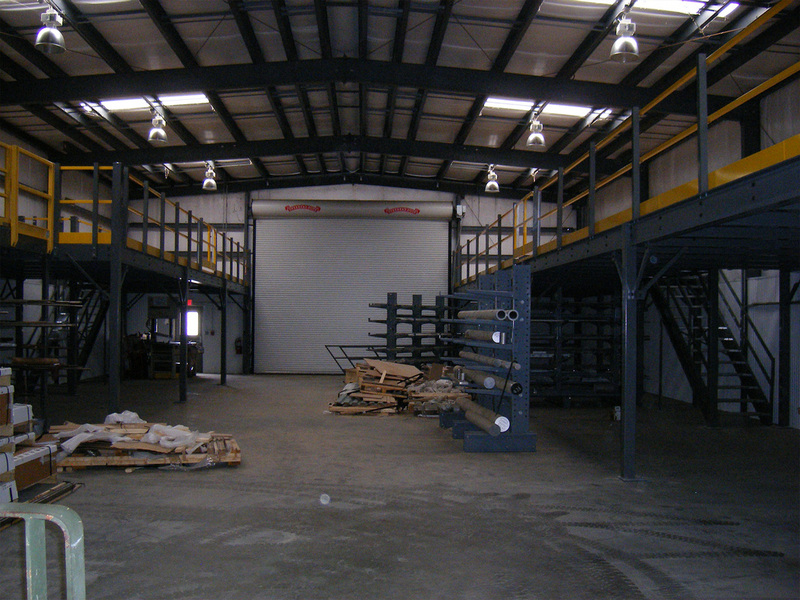 All Cubic Mezzanines are pre-engineered and pre-manufactured bolt together systems that install easily and efficiently. Watch this demo video to see how it all fits together! Steele Solutions is a preferred designer and manufacturer of steel structures, including mezzanines, mezzanine systems, equipment platforms, towers, catwalks and crossovers for material handling and storage, and support for conveyors, equipment and machinery, and other industrial and commercial uses, with installations throughout the world.